If you were not able to snab the tickets to the sold out Live Symphony Experience on the 26th of November 2016, your chance to experience the impeccable voice and melodies of Simphiwe Dana is here. Being the first of its kind, both in South Africa and on the continent, the Symphony Experience is a Pan-African project that demonstrates Dana’s acute ability to reflect the times with a timeless cultural masterpiece. Simphiwe Dana’s commitment to engage the African continent and Diaspora is testament to her social consciousness in leaving a legacy that transcends beyond race and social economic contexts. To further anchor this vision and walk the talk, Dana invited Asa of Nigeria, Concha Buika of Equatorial Guinea descent to join her on the Symphony stage. “Creating the Symphony Experience was a labour of love, a bold step I had to take to manifest one of my wildest dreams and to show the continent what is possible when African artists work together, when women come together”, says Simphiwe. The songstress was generous in the recording, taking her fans back to some of the songs from her past albums like Zandisile and Ndiredi which appeared in her debut album and a live rendition of the controversial Sizophum’Elokishini from the One Love Movement. She also took the time to finally share her inspiration and rationale behind the song. Also in the crowd were the likes of Judith Sephuma, Nakhane Toure, Bridget Masinga, Khabonina Qubeka, Zuluboy and many industry peers who came to support the afro jazz queen. “I believe the African continent has been important in influencing the evolution of music over the years. Africa is receiving the international recognition it deserves and I’m humbled that my music is contributing towards a bigger narrative”, concludes Dana. The depth of Dana’s music is powerful and infuses inspiration across audiences and genders. The Symphony Experience has received global acclaim and South Africans can expect a sensational performance (packaged into this timeless DVD/CD Combo) by Dana featuring a 60-piece orchestra, a 30-piece choir, and a 10-piece dance ensemble, guaranteed to leave you with an unforgettable contemporary sound also featuring a debut performance by the rising muso, Msaki. Fans can now purchase the CD/DVD combo from select retailers. Click HERE for the audio album which is available on iTunes. 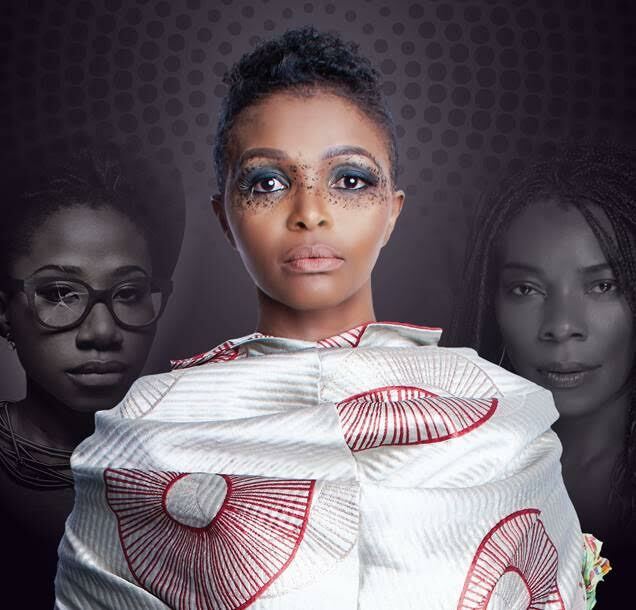 The Simphiwe Dana Symphony Experience is a Pan African project aimed at discovering and promoting synergies among the different African cultures both on the African continent and the Diaspora. It is a kind of Homecoming project that promotes the best that has come out of Africa and Diaspora Africa - with future plans to engage other world music cultures outside of the African scope. The idea is to find artists that have a similar aesthetic to Ms Dana. What she calls her tribe. Therefore the music experience will lend itself well to orchestra as well as the music content will be uplifting, soul-filling, rooted in culture and history as opposed to Pop music. The Simphiwe Dana Symphony Experience endeavors to find the best in African expression and to showcase it for all to consume and to perhaps understand the African aesthetic better.